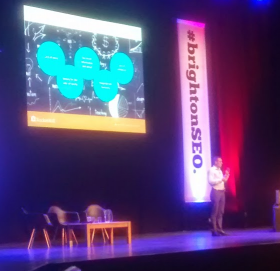 This month we attended BrightonSEO to learn about the latest news and trends in search and marketing. The day was packed with talks from some of the world’s leading names in SEO who openly shared their experience and knowledge at what has become the UK’s biggest SEO conference. We attended the three main sessions on SERPS, Link Building and Content Marketing. The event finished with a candid fireside chat between BrightonSEO organiser, Kelvin Newman, and the winner of The Apprentice, Mark Wright. For us, the main highlight of the SERPs session was Jon Earnshaw’s (Pi Datametrics) discussion on cannibalisation. This talk explained how conflicting content on a website, or group of company websites, can result in a loss of ranking in Google search. Quality content is now one of the most important factors in search but some companies are shooting themselves in the foot with poorly managed content strategies. Dave Naylor’s (Bronco) discussion on the future of search engine optimisation provided some insights and predictions on how mobile will start to take precedence in search. More people are using mobile phones to find information, but few are placing orders. Traditional desktop PCs are still behind a majority of ecommerce transactions; a business who can overcome this challenge will quickly develop a competitive advantage. The main message of the link building session was the old school SEO link building has been effectively killed off by Google. In 2012, Google launched the Penguin algorithm and over the past few years this has mostly nullified automated link-building. 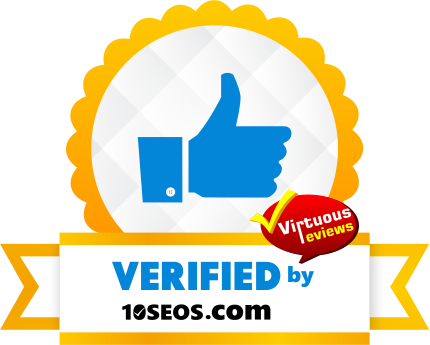 This is great news for reputable SEO agencies – our link building strategies still count! Matthew Barby’s (@matthewbarby) talk covered the role of journalism in digital marketing today and how the best SEO’s are building relationships with journalists to get their message out. Link builders are now more aligned with marketers and PR agencies and this ties in with the huge growth in content marketing. Samuel Scott’s (Logz.io) talk “Stop Thinking About Links. Start Thinking About Publicity!” provided the perfect conclusion to the Link Building session and an introduction to Content Marketing. The Content Marketing Session focused on the use of tools and metrics to help determine trends and help businesses develop effective content marketing strategies. Rebecca Lee (Dynamo PR), Hannah Smith (Distilled) and Krystian Szastok (RocketMill) all provided some excellent insights into how they work. For us, the content marketing talks were the highlight of the day and it was fantastic to know that our own strategies are in alignment with those being used by some of the leading SEOs in the country today. We will soon be putting our team of copywriters to work on new campaigns. Lord Alan Sugar’s decision to hire an SEO took the industry by surprise and many people questioned Mark Wright’s practical SEO experience. During the talk mark explained how his initial business idea was purely PPC, but during the process it was suggested that he should focus on SEO for a winning business plan. Mark talked most about how the Apprentice process restricted his business decisions; for example, the company name, Climb Online, was chosen by the production team and not his team! He was open and honest and certainly gained the respect of the audience. Related: Have Firefox Dug Their Own Grave By Introducing ‘Directory Tabs’? We had a pleasant networking lunch with Mat Bennett (OKO) where we discussed content outreach strategies and website monetization, while enjoying a burger and beer in one of Brighton’s backstreet pubs. Overall, BrightonSEO was a fantastic day that provided us with many new ideas and strategies. We shall be introducing the best ideas in the forthcoming months to enhance our client’s SEO and digital marketing campaigns.